The Rebel Sweetheart. : Love Your Teeth, and Your Cosmetic Dentist! As a child, I grew up with a gripping fear of dentists. I used to associate the dentist chair with excruciating pain, like most kids do. But because I also had an innate blood phobia, my aversion for dentists was more intense compared to my peers. 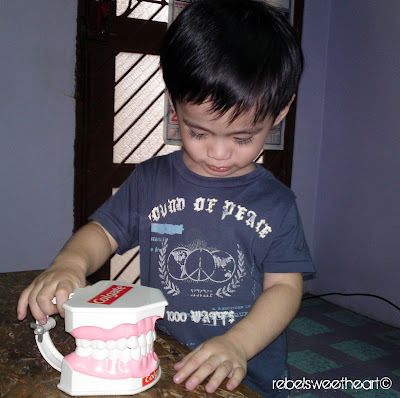 Back then, I would avoid dental procedures of any kind - including something as simple as a routine annual check-up. By the time I graduated from college, my teeth were in a pretty bad shape. I had a crooked incisor, an unflattering overbite, and gums that bleed each time I brush my teeth. In short, my pearly whites were in dire need of medical attention. As soon as I got my first paycheck from my first job, I sought the help of a cosmetic dentist NYC. For the next five years, I went through a series of dental procedures. From metal-wired braces, bite splints, retainers, dental bridges, aligners - I've worn them all. Dealing with all these dental devices had not been easy; there were instances when eating, chewing, and even merely opening my mouth proved to be bothersome and painful. Even more agonizing were the two surgical procedures that I had to go through. The first one was for my unerupted incisor, where my dentist had to remove my milk tooth and literally scrape my gums open so that the incisor could erupt properly. And as if that was not tormentous enough, I had gingivectomy, too. It's the procedure of removing and reshaping diseased gum tissue to get rid of pockets between the gums and teeth. If not for these procedures, my teeth wouldn't be able to align properly, and my gums would be a host for disease-causing bacteria. I had to endure a lot of pain, but I'm grateful towards my cosmetic dentist for a job well done. Oh my, what big teeth you have! I wouldn't want my son to experience all these in future, which is why I give extra attention to his teeth. At this point, he's already had two dental examinations. I also take him along whenever I go to the dentist for my routine monthly check-up. It's a good thing he's showing no signs of fear or aversion towards our dentist. At least with his fearlessness, we could avoid possible dental problems and even more medical expenses in the future. Disclaimer: This entry is part of a Bucks2Blog campaign. Although compensated for writing this post, the thoughts, views, and opinions stated here are entirely my own. Sharing with 366 and Blue Monday. I think it's been rooted in most Filipino children that the dental clinic is a place that's dreadful. Too bad. Di kasi naituro sa atin sa simula pa lang how important dental procedures and regular checkups are. Like you, we had to start teaching our daughter the earliest time, too. Para naman di sya matulad sa amin. Naku sis, sinabi mo pa! Akala lang nila porke naka-braces ka ay 'cool' at 'mayaman' ka. Susme, the torture that I had to go through when I was wearing braces!!! woohoo! what a big teeth you have their Mr. Pogi :-) good thing that he likes going to the dentist. My daughter and I will go this Thursday. Visiting from #58 of Project 366 BPC, hope that you can return the visit too. i never feared the dentist when i was little. i used to go to the dentist like every year because of my gums. i guess i got used to it.